Quality of service is the cornerstone of our mission at North Car Wash. We aim to bring you the highest quality car wash possible and as quickly as possible, at an affordable price. With that in mind we set out to create the most comprehensive car wash experience in Colorado. We are pleased to bring to our customers the results of that mission: The VIP Express! The VIP Express leaves no stone unturned in the car wash process. It includes everything we offer! This wash leaves you car with the highest quality and most long lasting shine we can provide. It includes the Durashield paint protection system, Triple Foam Cleaner, the Blendco Hot Wax and Shine, Tire Shine, and Brake Dust Removal Formula. From the time you enter the wash tunnel, you will notice that The VIP Express is different from our other car wash packages. You enter the tunnel and see that the light board on the passenger side of the car is full lit up with flashing LED lights. As our car wash professionals prep your car for your VIP Express Car Wash, you are left to relax and wait for the wash to commence. Our staff thoroughly preps the vehicle by adding a lubricant to the front of the vehicle. This helps ensure a smooth, scratch free wash. The grille, front windshield, mirrors, running boards (if any), rear bumper, and rear windy are scrubbed with a hogs hair brush to remove bugs and other pesky dirt. Then your car is taken on its way by our vehicle conveyor system while our wash professionals use power washers to loosen and remove dirt around the wheels. The first feature the vehicle encounters is the Durashield! Cleaning protective wax cascades over the entire vehicle covering it in a thick coat foam. Next, a series of rotating neoprene brushes scrub the vehicle and remove particles of dirt. These brushes are dirt proof but retain moisture. This provides you ease of mind knowing that our rotating brushes will not damage your paint. Then your vehicle goes through the Triple Foam System. This System is a paint cleaner, sealant, and protect. The combination of the three foams create a UV shield that keeps your paint from fading in the sunlight. After that your vehicle is sprayed with many high powered power wash nozzles to rise off the Triple Foam. North Gate Car Wash is pleased to bring you the only tracking wheel washers in Colorado. The spinning nozzles spray high pressure water on the wheels to remove brake dust and dirt from this area. It then moves down the vehicle to do the same on the rear wheels. The vehicle then gets the Blendco hot wax and shine. The Blendco brand has provided the highest quality car wax and car care products for over 100 years and North Gate Car Wash brings these great products to you. The hot wax is applied to the vehicle and then buffed into the paint creating a rain repellent coating. A high volume water rinse is applied next. The volume of water takes all excess foam and soap from the vehicle to prepare it for the Spot Free Rinse. Our Spot Free rinse consists of ultra purified water that rains over the car as the final rinse. This water is ultra purified, meaning it pure and has no minerals in it. When this water dries, it does not leave any spots on the vehicle! The car is then dried using 9 high pressure jet driers over the top and elephant ear driers on each side. This powerful combination removes most of the water from the vehicle before it enters the final phase of the wash. Finally the car goes through tire shine, and buff and dry. Two rotating brushes simultaneously clean the tires and apply the Tire Shine formula without damaging the wheels. While this is happening the car is being buffed and dried by rotating buffing pads. 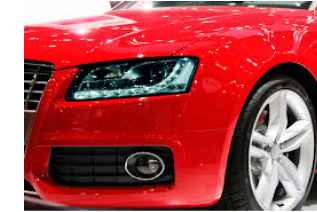 These pads are soft and gently buff the wax that was applied to the vehicle to leave an unbelievable shine. As you pull away from your VIP Express wash, you can enjoy our self service vacuums and mat washer that are absolutely FREE with every wash!